When I first saw Fiora’s kit, it didn’t look like anything special. 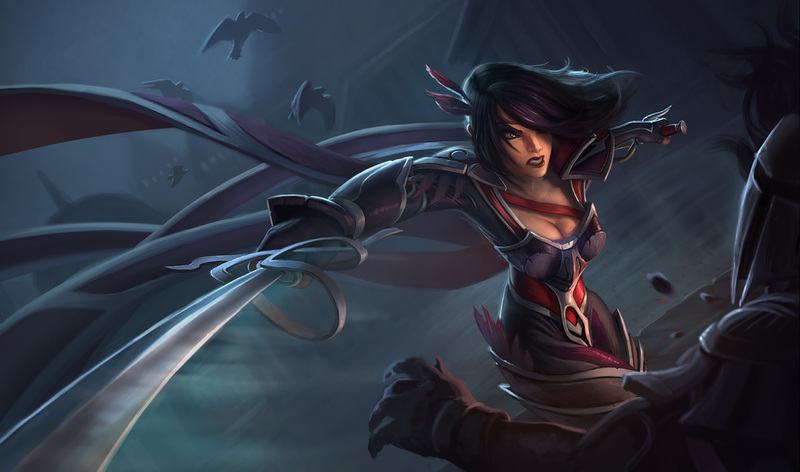 To be completely honest, she looked like Yi with breasts (who shops at the same place Talon gets his capes). Oh how I love being wrong. Aesthetically, everything’s pretty standard. Not a huge fan of the outrageously thick accent on her selection quote, but everything’s pretty good aside from that. Oh, and she draws a Teemo in the air as part of her joke. So that’s kind of not cool because up yours, Teemo. As for her two skins? Eh, they look pretty cool. I’ll probably invest in Nightraven when it goes on sale, mostly because I hate that ‘I practically live at Hot Topic’ pink streak through her default skin’s hair. Now, like I said about her playstyle. I was wrong. She’s not Yi with breasts. She’s… different, yet familiar. I’ve played her everywhere but Dominion so far, so I’ve got a pretty ok feel for how she works. My biggest point about her is how absolutely absurd her snowball potential is. If you’re playing against her, cut her off early and keep the pressure on or next thing you know, she’ll have a fully-stacked Bloodthirster and will carve you to pieces before you can blink. Also, bring Exhaust and a Frozen Heart or just keep her locked down after she activates Burst of Speed. Three seconds doesn’t sound like much until she wails on you for that duration. 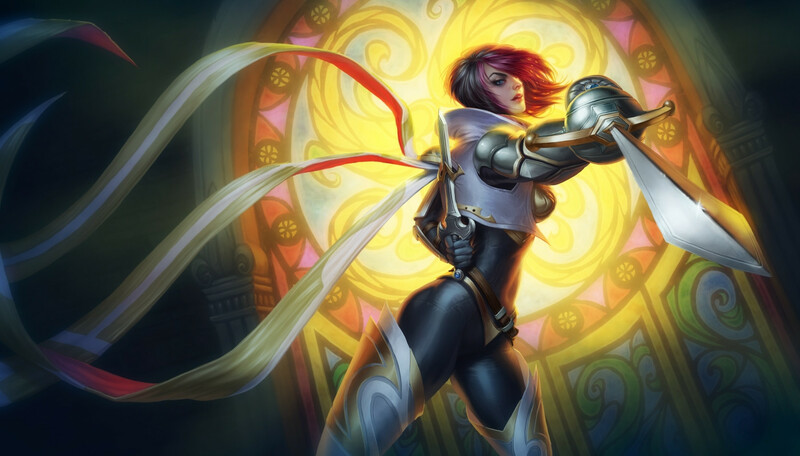 So, let’s talk about Fiora in lane. If you’ve watched the spotlight, you already have some idea of how she works. She sustains like crazy, she’s good in tiny skirmishes, all that cool stuff. But the spotlight doesn’t really do justice to how much she can heal with her passive. I’m going to go ahead and say she’s probably one of the safest solo-top champions, provided your enemy isn’t packing a lot of burst. And even if they are? Hope that it’s an on-hit effect (Trundle’s bite or Nasus’s Siphoning Strike) and Riposte it back in their face to negate a huge portion of that damage. Then smack ’em a bit. Her only real weakness in lane seems to be the fact that she’s pretty susceptible to really sudden ganks. She doesn’t have any CC and Lunge can only be used to jump to enemies, so she can’t escape too terribly well without burning flash or ghost or something. Or just knowing that the gank was coming and playing it safe for a bit. Now let’s talk about her jungling. Well, jungling in general for a moment. I love jungling. Jungling is probably my favorite role just because so many champions take a different approach, you get to play around with the element of surprise, all that fun stuff. For the longest time (before the jungle remake), my go to guy was Trundle. The dude hit like a truck, stole stats from enemies, and was damn-near unkillable because of that passive of his. Fiora is Trundle with breasts. She has so much sustain and such ridiculous attack speed that she reminds me of mid/late-game Trundle. Sure, she doesn’t have CC, but she has a gap closer and movespeed steroid. If they get ganked by you and your teammate is competent, you’re either getting a kill or burning a summoner spell. Either way, they’re probably going back to base soon. Now, she’s not as tanky as Trundle and she can’t debuff people or anything, but… Let’s take Trundle and replace that tankiness with an absolutely crazy damage output. So, yeah. 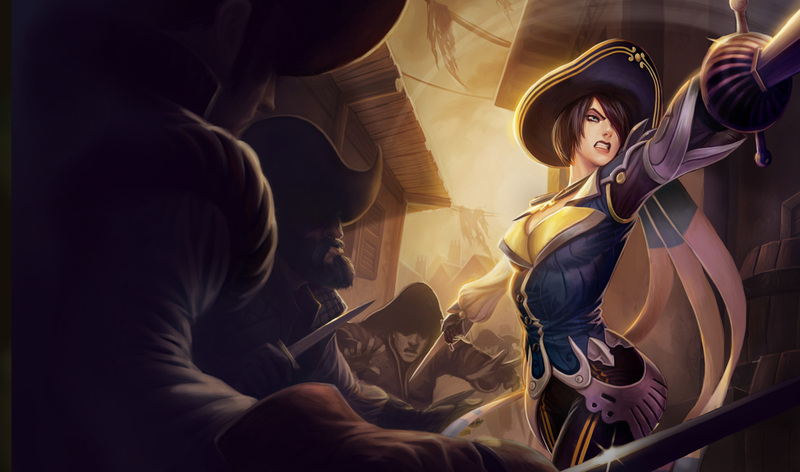 Jungle Fiora is, to me, Trundle with breasts. I apologize for that imagery and will pony up the cash for your brain bleach if needed. So! Would I recommend her? I’d… actually just go ahead and say absolutely. She’s really fun, she’s got some cool mechanics (fun fact: Riposte can parry Baron Nashor, no problem), and Blade Waltz is just crazy and terrifying and painful. I could see her getting nerfed a bit in the near future, so don’t pick her up if you’re just going for the next flavor of the month. But if you like the playstyle of people like Yi and (to a less-tanky extent) Trundle? Then, yeah, give her a shot. Anyhoo, that is me done for the day. Feel free to leave comments and all that good stuff because I do enjoy chatting with you fine folks. As for what’s going on tomorrow, you may get a Bakemonogatari review if I can push through the wordplay. If nothing else, expect a very special Grass Pants Muses in the near future. As always, thanks for reading and have a good’un. This entry was posted in First Impressions, League of Legends and tagged champion impressions, fiora first impressions, fiora impressions, fiora lol, fiora the grand duelist lol, league of legends impressions. Bookmark the permalink.